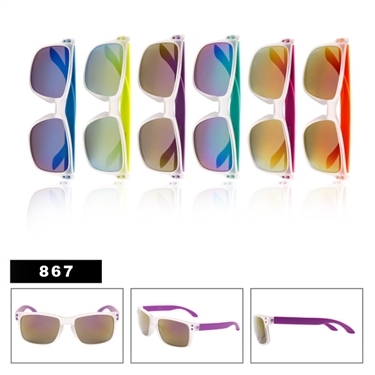 Clear frames with assorted arm colors in every dozen. Each pair features a color mirrored lens! This is a must-have style!